There are various advantages related to starting a business in Seychelles. Foreign investors find the confidentiality which is guaranteed by law one of the most important benefits when setting up an offshore company in Seychelles, however, the taxation system which offers many exemptions is another important aspect which is considered by others. However, before getting to these advantages, one must be aware of the costs involved by opening and operating a company in Seychelles. 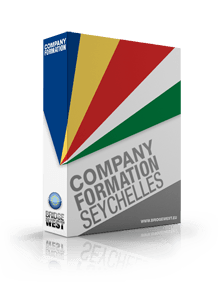 You can rely on our local agents for company formation services in Seychelles. Our consultants can also offer information related to the fees you need to consider when starting a business here. - the representative agent’s fee. Foreign investors who want to open companies in specific sectors such as insurance or trading must consider the licensing fees which depend on the activity to be undertaken by the Seychelles company. - the costs related to the office. These will ensure complete privacy in relation to owning an offshore company in Seychelles. If you want to open a company at competitive rates, please contact our company registration agents in Seychelles who offer personalized offers. You can also rely on us for accounting, company secretary and nominee services in Seychelles.